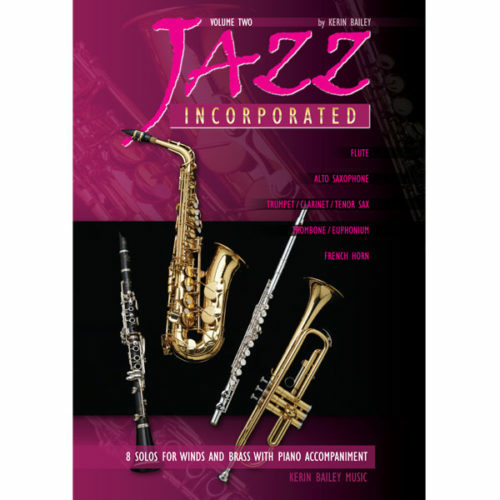 The Jazz Incorporated series is a unique collection of graded contemporary pieces suitable for all popular wind and brass instruments. 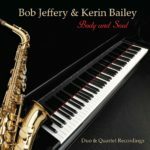 In addition to being excellent solos with piano accompaniment, they can also be used effectively as ensembles in a class teaching situation. The inclusion of chord symbols enables the addition of a rhythm section and also encourages improvisation. The pieces are fully notated with articulation, phrasing, ‘catchy’ melodies, modern chord voicings and performance notes. 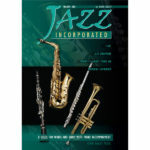 They contain a wealth of stylistic devices, techniques and harmonic ideas for the aspiring instrumentalist. 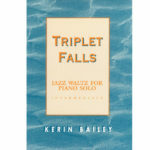 Volume II also includes two trios and one duet – solo plus optional parts. Also guide improvisation solos! Book & CD Scoobie Du Wup* – solo/trio – swing – improv. chorus – gr 2-3; Pretty Flower – Rubato or Bossa Nova – gr 2-3; Feeling Free – Pop/Rock – gr 4; Al’s Cafe – Swing Jazz – gr 4-5; Riff-Raff Rock* – solo/trio – gr 2-5; Blue Waltz* – solo/duet – gr 3-5; Cookin’ With Gas* – traditional Jazz – gr 5-6; Get Eccentric – Funk – gr 5-6. 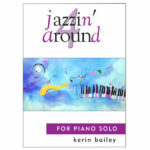 * with optional notated improvisation chorus – 1-2 grades more difficult. CD included. CD Demonstration – and backing tracks in 2-3 tempos. Includes SMF midi data backings. 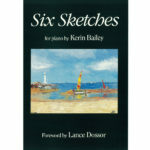 Invaluable practice and performance tool – accelerates learning and makes it more fun. Note: same CD for all instruments.